That's 24 EDH decks and 5 Legacy decks. Anyone else as bad as me? At least your addiction can be sold off? Do you have multiple copies of expensive staples or do you use another method like proxy or swapping cards between decks? 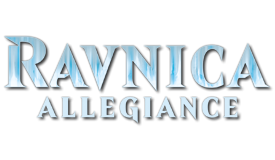 I once fancied that I would have a deck of each color combination, but I have since realized that there are just some color combinations that I don't like playing the deck that I have created (Bant and Jund mostly) or none of the commander options appeal to me (Mono-W and Mardu) so I've stopped expanding the number of decks I have to try and fill out every color combination. But even then, I have a hard time trying to maintain (and play) all 28 deck I currently have put together to the point where I'm basically ignoring 4 of them and really focusing on 24 decks. 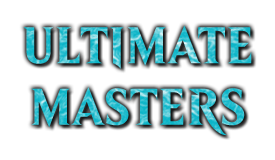 And I'm not playing Standard, Modern, Legacy, or Vintage very much anymore so I don't have that additional time/resource commitment to other formats right now. So I get the addiction; creating a deck concept, finding a home for a certain subset of cards, being able to play cards in combination with each that you could in no other format, looking for hidden gems, finding creative synergies or combos, and playing and fine-tuning a new deck can all be a very rewarding experience. I'm just no longer willing to do that for every color combination "just because" anymore as it feels like I'm trying too hard and deck building shouldn't feel like you have to force it. In the future, it will be more about finding themes that I want to hit and whatever color combination it ends up in is where I will go. That's not so bad. I've built over 80 Commander decks over the years. 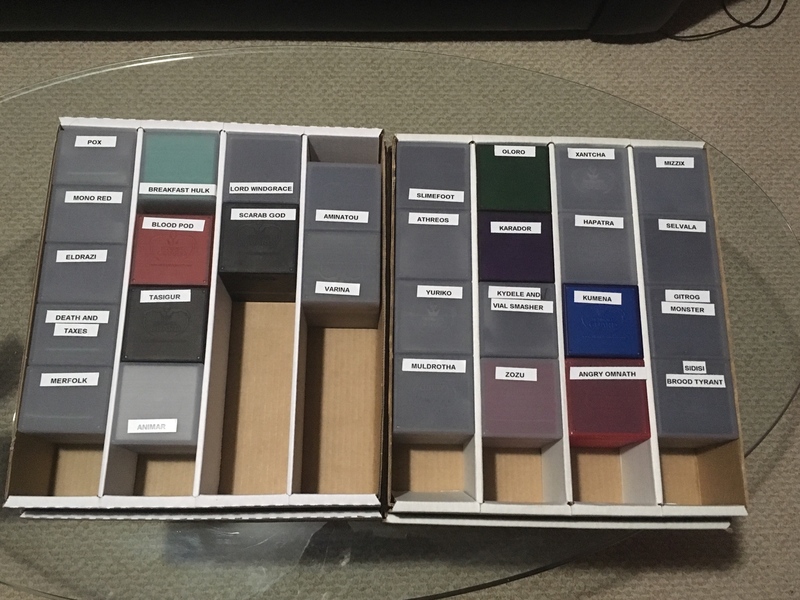 At one point I got sick of lugging around 25+ decks every week, so I got 2,000 matching sleeves to make a modular EDH collection and started assembling/disassembling decks whenever I wanted to switch things up (it also allowed me to trade off a bunch of valuable duplicates). Then I ran out of sleeves and started pulling cards out of the modular collection if they really only went in one niche deck, and I've started building and maintaining those decks on their own again. 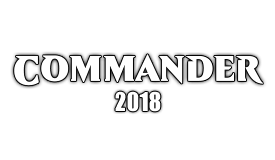 The thread died out a while back, but we had one for Cumpulsive Deckbuilders Anonymous, and you'll see there are a lot of Commander players who really like variety. I've even extended this problem into cubing - I started with one and now have three cubes (Peasant, Un, and 2HG). Seems like the bug never goes away. I hate proxying / swapping cards between games so I am at the point where I can run something like 2 decks of any color combination at the same time and have 4x of most staples with 4-10 of most fetchlands. I would say I can probably field something like 6 2-3 color decks at a time and cap out at 4 copies of a lot of staples like Demonic Tutor / Vampiric Tutor. All in all I would say I generally cap out at about 10 decks together at one time due to this. 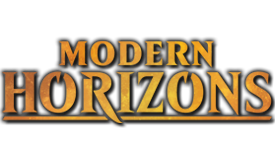 I went through the forums though and found over 150 threads I had created in multiplayer commander section so..... I have killed a few decks in my time lol. The minimum for the Color Identity Challenge is 32. If (God forbid) purple ever becomes a reality, it will become 64. It could be sold, that's true. I hate to think of the time invested to do that. I own multiple copies of shocks, fetches, other format staples and single copies of dual lands (this is why I don't play Legacy decks that need duals lol). I proxy cards I own and lately have been having alternate art proxies. I was going to do the 32 color combo deck thing but I ditched it for the same reasons as you, there's some colors I don't want to build (like Boros lol). I enjoy the new Commander options that come out with each set and I'm sure there's more I will build but right now I want to focus on the decks I've got. I've recently gone back through the decks to update and improve them. I've had way more decks then this but have pulled some apart, just before this picture was taken I took apart Grothama and Ezuri, Claw of Progress - since I've also scrapped the Scarab God (most pieces went to Varina). My huge problem now is having time to play them (3 kids makes it hard) and with so many options I try to change it up when I can. I started sleeving everything in the same sleeves a while back, makes everything so much easier. I thought about making something modular but I like having my decks together. I do have a binder done up with all my copies of cards so if someone questions a proxy I can whip it out and show them the card. I usually only bring like 5 decks with me when going to play but change that weekly, I think I'm going to play decks a bit longer though. I only proxy cards I own unless it's stupid expensive like the Chains in my Tasigur deck - that thing is more then my mortgage payment! I've had more then these decks but these are ones I find enjoyable still. I'm not going for the color challenge, there's some color pairings I just don't want to play. I too started the color challenge, I got to around 18 decks and realized there are some color combinations that I just don't like to play or don't like the current Commander options for. I'm down to around 12 EDH decks but only consistently play four or five of them. A few of the ones I don't play are simply because they get hated off the table. The others I pull out pretty much just when I want to play something different. I do the same thing (proxies with the cards in a binder to show if questioned). I have 62 active EDH decks and counting. Proxies are played only on a temporary basis, so if I don't have an actual copy of a card I want for a deck, I play a different card in its place. I have a pretty deep card pool and a pretty good budget, but this still means most of my decks aren't completely optimized. Still, with 5+ of each of the original duals, 3 copies of Mana Drain and so forth, my decks are usually pretty strong. I'm pretty happy with the 13 decks i have right now and don't think i'll ever go for the dubious "challenge" of 32 decks in all color combinations. For one i love updating, improving and playing my decks too much to have so many i won't see single ones of them regularly. Secondly i'm not into 4C and 5C at all, with their card pools being too perfect and the commander options being uninspiring. Generally speaking all my decks are set to stay, especially the mono ones, because i like having one of each around. The only medium-term goal i have is to build an URX deck, so that i have every two color combination included (at least) once. I don't like building commanders that already see play in my playgroup, so while that limits options it keeps things interesting. Considering the amount of time i need to play, optimize and update i don't see myself going beyond 20 decks, more realistically 16-17, ever. I don't think the plain number of decks says anything about them or their owner. Indeed you do have a problem....some of those decks aren't 100 cards! 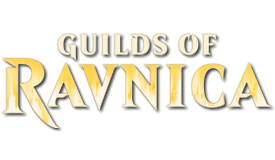 Get it sorted and go full EDH! This is the problem I've got with my cEDH stuff, I never get to play them. Some of my other decks (Sidisi and Gitrog notably) have a reputation locally too. I'm definitely not going for any records for number of decks. I certainly need to update some of the ones I've got and I'm working on that now. I enjoy my Legacy decks too. ...you play pox in legacy? good job! i've cut down to 1 legacy deck (but have cards to turn it into 2 others) and 4 built EDH decks. i've noticed that back in the day, i had like 20?30? decks, and they were all pretty weak and not very fun to play. these days, i have 1 quite competitive combo, 1 hellbent weirdness BR suicide deck, a 5c lands and a mono u tempo. building a mono R control. focusing my good cards makes it easier to sell cards off when the hype is real and makes individual deck playing more fun, i think. That being said, it doesn't seem like your decks share many cards as is, so what do i know about that! Please. I have 450 decks. All casual vintage (and 10 EDH for fun). I make like 5 new decks a month and I don't like undoing decks. Complain when your whole collection doesn't fit in one box. 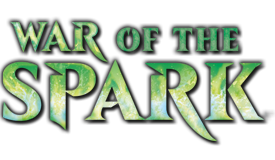 I guarantee there is more than one person in this forum with 32+ commander decks. LOL, thanks. I do enjoy playing a few games with Pox though most other opponents don't like it. Most of my decks are different apart from stuff like staples and mana base but I've got a lot of that stuff. I don't tend to buy packs and usually wait till the hype dies down to buy a single I'm interested in. Good example is Assassin's Trophy, I waited a bit and saved money. if phrple ever bcame a color (which 99.99...% chance it will not. I would uild a deck a deck kf pretty much every (phrple) color combination off the bat. Purple would ruin the color pie though. If they do a sixth color, I hope they call it "phrple" - sounds so much cooler than purple. This isn't spelling pedantry - I legit like the sound of it. My issue with getting to the 32 different colour combinations is that sometimes I like multiple commanders that overlap in colours. I now have two BR decks, two Karador decks (one is optimized, one is Spirit tribal).. and I am working on two BG decks. Also, life is getting busy. I used to build 3-4 decks per year, now I think I will try to get one done per year, and focus on updating my decks. I totally see the problem you have way too much empty space in those boxes. You need to get more decks together. Do they have any money cards in them? Do you buy new cards for each or just put them together from draft chaff or something? Are they anywhere near competitive? Since everyone is sharing, personally I've got 7.5K commander cards, all sleeved in black dragonshields, but I only have a few decks together at a time. Zirilan (since 2013 or so), Phelddagrif (since 2017 though I've built him multiple times before), and then whatever my most recent couple deck(s) are from the main collection. Also every commander precon, favorite draft deck for each color pair, and a few random legacy/modern/casual decks. Plus a few complete set cubes (khans and SWTG fan set) and one near-complete set cube (conspiracy TTC). Sold off all my sealed product recently for almost a grand, except for my last box of CNS. It all takes up 3 of those big 12-box honeycomb things BCW makes, although there's still quite a bit of free space (happily). And it's all in some shipping container somewhere. kiiinda nervous about it. Personally I think keeping so many decks together at once is kind of waste since you've ever got to move cards around, use proxies, play subpar manabases, or just spend a ton. And generally I only ever want to play my most recent one anyway. But to each his own. I don't stay very attached to my decks - few weeks and they're usually toast. But I've created nearly a hundred at this point (currently...90? Maybe 91? I forget). I've got a lot of overlap now and several of my decks do Graveyard things, which I'm ok with. My biggest issue is not updating deck which is something I'm trying to do now. LOL, I've got the following Commander cards just sitting here waiting for decks - Lazav the Multifarious, Emmara, Soul of the Accord, Circu, The Locust God, Meren of Clan Nel Toth, Edgar Markov, Karn, Silver Golem, Breya and Sygg River Guide. I certainly don't need anymore. I've taken apart far too many decks over the past couple years (all formats). Most of my Commander decks stay together but rarely get updated. I have retired only a few Commander decks, once built. Several others I have rebuilt over time to such a degree that they aren't the same deck at all. This is especially true of my first few decks, as I was becoming more familiar with the then-current card pool and as I came to better understand the goals and nature of the format. Now it is fairly rare for me to completely dismantle a deck; more commonly I switch the commander to someone better (Isperia II --> Azor) or maybe drop one or more minor aspects of a deck to focus it a bit more. And I am constantly updating my decks, albeit slowly. Some only rarely change - it is rare that something new is released that is good enough to earn a place in my Nath stax deck or my Heidar mono-blue control deck - while others seem to get something new in almost every set. Most sets have a new hydra and we have been getting some good cheap card draw of late, so Animar hydra tribal often gets updates, and I am constantly swapping cards in and out of my Atraxa counters deck, testing out the many potential options presented by the near-endless number of cards which interact in some way with proliferate.